I have not been doing very well with the whole keeping up with blogging thing. I have a notebook full of ideas, but just haven’t been able to devote the time or energy to develop and share them. I suppose there are seasons like that, and we have to be okay with the ebb and flow of creativity in our lives. I’ve never been someone who posts just to post. If I don’t feel I have anything to share, I don’t share. I’m also at a bit of an in-between season when it comes to blogging and creating. As I do every so often, I’m re-evaluating the heart behind the blog and where I want to take it next. That’s definitely a process, but it’s a good thing, and I’m excited to see where God leads me next! Make space for God to move. The biggest way I’ve been seeking to do this is beginning each day in the Word. I want to hear from God and know what He’s calling me to. Now that the weather is getting nicer, I’m looking forward to taking prayer walks again, as well. They really clear my head, allow me to worship, and just take time out to really share my heart with God. They refresh me in a way that just reading my Bible or praying inside cannot. 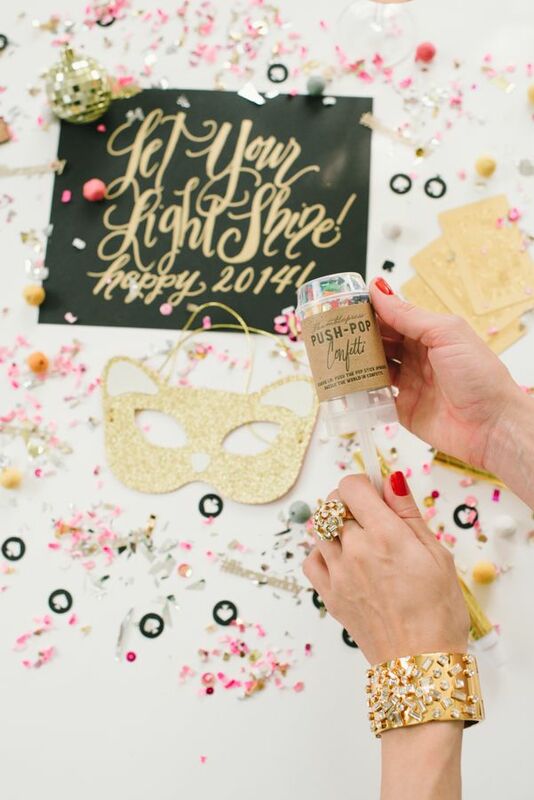 Live a full and inspired life in 2014 — and encourage others to do the same. So many things could be listed here, but basically, I’m trying to live intentionally, with purpose and with passion. I’m identifying what’s important to me and determining how I can make those things a priority in my life. I even did what Shauna Niequest wrote about in her book Bittersweet and made a list of What I Do and What I Don’t Do. As Shauna wrote, it’s easy to decide what we want our lives to be about, but it isn’t easy to figure out what we are willing to give up, in order to make those things happen. Maybe that’s a future post, but that exercise really helped me find focus and direction (and do less comparing). Some of the things that have been priorities so far this year that are helping me live an inspired life: reading lots and lots of good books, taking ballet barre classes, starting to run again, and creative collaborations with others. Date intentionally — with courage and with hope. I’m praying this simple prayer and trusting God to take care of the details. I’m taking chances and being open to God’s plan. And I’m learning A LOT. It’s a good season, and I’m hopeful for what’s to come. Since this update is starting to get pretty long, I think I’ll wrap it up, but I feel good about the progress I’ve made and everything God is doing and teaching. I really believe in Lara’s advice to focus on the small, but steady steps we take. Dreams aren’t chased and caught in a day. The important things in our lives take time and faithfulness. I want to be okay with the pace God sets for me and enjoy the journey. What about you? Did you set goals for 2014? How have they been going? I’d love to hear from you. If you’ve been following along this week, you know I’ve been working through my Powersheets and Lara Casey’s 2014 Goal-Setting Series. Today, I’m excited to finally share the five goals I’ve set for the year ahead! I love that Lara’s process is slow and reflective and intentional. It took TIME to get to the goals below, and they’re goals that support my vision and what matters most to me. Make space for God to move. I want to seek first the Kingdom daily, with a heart that longs to hear Him and go where He leads. I’m going to be going through a praise and wisdom reading plan in my One Year Bible that will take me through Proverbs once during the year and the Psalms twice. I want to have my eyes and heart open to the possibilities He has for me each and every day. Invest my time and heart into building an encouraging creative community that blesses others and brings God glory both online and offline. I’ve already started this goal online by launching a book club to discuss the eBook I wrote last year called An Inspired Life. I also have it on my heart to really invest in my local art community this year. I’m not sure of the particulars of this one just yet, but I can’t wait to see how God moves in this area. I also want to have many productive, inspiring creative collaborations in 2014. Working with other creatives is a huge passion of mine, and I look forward to doing this as much as I can in 2014. Live a full and inspired life in 2014 — and encourage others to do the same. This one encompasses so much — eating fresh, healthy foods, practicing holy yoga, joining a gym, spending quality time with my friends and family, etc. This goal is also about living the kind of life I imagine for myself, the kind of life that makes me feel like ME. I want to live surrounded by art, inspiration, and color. I want to make art regularly and read good books. I want to explore my city and celebrate life and my own unique story, a story that is a gift from God. And I want to find new ways to encourage others to do this, too — whether it’s through my blog and online outlets, discipleship at my church, or just a simple handwritten card or note that blesses and encourages someone God puts on my heart. Date intentionally — with courage and with hope. I will keep praying this simple prayer and trusting God to take care of the details. Explore new possibilities. One of the new possibilities I’m excited to explore in the new year is hand lettering/typography. I want to take classes, go through the Spencerian script workbooks, etc. I’m also planning on hand lettering a phrase a week and posting it to Instagram, Twitter, etc. Who knows what other possibilities I’ll explore in the year ahead, but I can’t wait to prayerfully wait before the Lord to see what He puts on my heart to pursue. Have you set your 2014 goals yet? I’d love to hear about them and the process you used to set them. P.S. 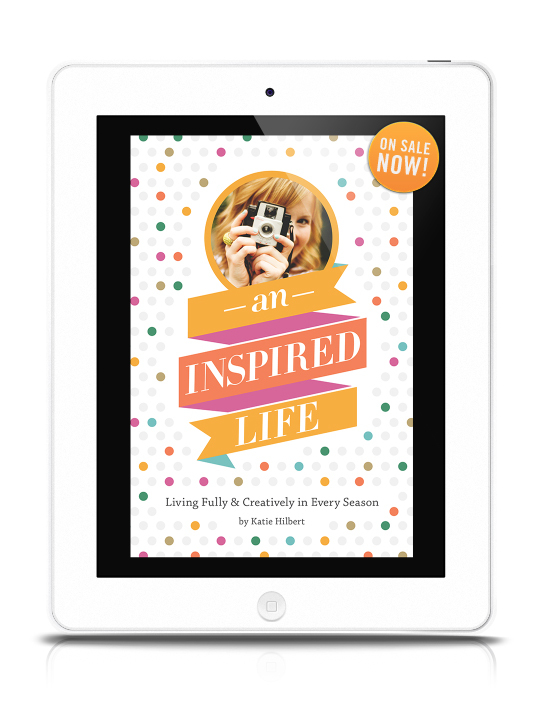 Have you signed up for my An Inspired Life book club yet? It’s a great companion to goal-setting and dreaming for the new year. Dreaming and planning are two of my very favorite things, so I’ve been delighting in dreaming up and writing down my hopes and prayerful plans for 2014. If you’ve been following along the past few days, you know I’ve been working through Lara Casey’s PowerSheets and Goal-Setting Series on her blog. Yesterday, while listening to worship music and drinking a hot mug of coffee, I reflected on all of the goal-setting steps I’d completed so far and came up with my vision statement for 2014. Having a vision for 2013 was extremely motivating and encouraging for me, so I was excited to write a new one for 2014. My vision statement represents what matters most to me, and my goals for the year ahead will be written with this statement in mind. MY VISION FOR 2014: I will live with hope, joy, and creativity, embracing — and giving thanks for — the possibilities He blesses me with every day. I will make space for Him to move, seeking first the Kingdom with a heart that longs to hear Him and go where He leads. I will fill my days with art and inspiration and creativity, being brave in new adventures with Him and the people I am blessed to share life with. I will cultivate life-giving, encouraging relationships and community that celebrates creativity and each of our unique God-given dreams and stories. With honesty and vulnerability, I will write and make art that blesses, inspires, and points to Jesus. I will believe anything is possible, and I will keep asking, seeking, and knocking about some of my most precious hopes and dreams. My vision for 2014 is to be a woman who lives an inspired life for the Lord — and a woman who encourages others to live this way, too. If you’ve written a vision statement for the year ahead, I’d love to read it. Have a very blessed first day of the new year! I just finished sharing my goal-setting progress on Lara’s blog and thought I’d share the progress here, too. Today, Lara has asked us to reflect on what did and didn’t work in 2013 and what lessons we learned as a result of those experiences. I can accomplish BIG dreams (I published my first eBook: aninspiredlifebook.wordpress.com)! Yay! Happy, happy dance!! It took me a little more than a year to write and create, but I feel so, so thankful to have accomplished that major goal. Community is essential, and I love collaborating to create. In making my eBook, I worked with many talented friends, and I realized just how much creative collaboration fires me up. I’m looking to do so much more of that in 2014, and I’m praying and dreaming what that might look like both online and offline (creating inspiring life-giving community in my city). Faith will get me everywhere (kept dreaming, kept hoping, kept believing). Being late causes stress (and so does disorganization). Two things I really want to work on in 2014. Disconnectedness from God hurts my focus and creativity. Seek first the Kingdom is something I want to live out even more in my day to day. Sometimes, we have to make hard choices that lead to healing and growth. Fear is sometimes still too present in my life. Overall, 2013 was an incredible year of being brave, taking risks, and chasing dreams! So many beautiful memories were made with my sweet friends and family, too! I turned 30 and had an amazing celebration with the people who mean most to me. I went on a California adventure with my sister, and I attended the Influence Conference. I continued to pray about my future marriage and even recently decided to simplify that prayer to this: that I would meet and marry my best friend. What about you? I’d love to hear where you’re at in your dream and goal setting process. If you’ve blogged your progress, leave me a link, or feel free to just write yours in the comment section. I really want this blog to be a place of community and collaboration in 2014. I want A Place to Dwell to be a place where we can share honestly and encourage one another to seek Him and live fully and creatively! I believe He has possibilities for each of us in 2014, and I’m praying we’d delight in discovering every one. At the end of a year, it’s really easy to look at where you’re NOT, what you DIDN’T accomplish, and what you WISH had happened, rather than all the goodness of where you ARE, how far you’ve come, and everything you DID accomplish. As I get ready to begin the new year, and I reflect on all I experienced this past year, I’m choosing to look with joy and gratitude on all of the experiences that led me to where I am today. I am truly thankful for all I did and learned in 2013. What a year of being brave, taking risks, and chasing dreams! I want to take everything I learned in 2012 about keeping an open heart and moving FORWARD with hope, and I want to go FURTHER. *I want to go FURTHER in my faith. I want to know Him more, trust Him more, hope in Him more. *I want to go FURTHER in my art. I want to write more. Create more. Set up an Etsy shop. Use the gifts He’s given me to bless others and inspire joy in Him. *And I want to grow FURTHER…keeping my heart open to His plan each and every day, going where He’s leading, and trusting Him every step of the way. When I look back at everything that happened in 2013, both the blessings and the moments that challenged and pruned me, I can truly see that the Lord took me FURTHER in so many ways. MY VISION FOR 2013: Inspired, encouraging, balanced, intentional, going further with an open heart. I will embrace my story and my season, living fearlessly, fully, and creatively. I will abide in Him and dream with Him, using my God-given gifts and passions to pursue what He’s laid on my heart. I will pray boldly, trusting His guidance. I desire to see a fruitful harvest in my life that glorifies Him and blesses others. My vision for 2013 is to be more of the woman He created me to be —inspiring, encouraging, and spurring on the people He puts in my life. My vision for 2013 is to bear His fruit in my writing, in my artwork, and in my relationships with others. I just love rereading that vision, because I know it’s something the Lord placed on my heart, and I can see so clearly that it’s a vision He helped me live out each day of this past year. Today, I am delighting in every sweet memory made in 2013, and I’m giving thanks for all the ways He helped me embrace my story and my season — and all the ways He equipped me to live fearlessly, fully, and creatively for Him. What 2013 moments are you most thankful for? Let’s rejoice together, as we get ready to start a brand new year of dreaming big and living fully for Him! For a while, I was thinking about choosing OPEN for my 2013 One Little Word. Last year, I focused a lot on the idea of keeping an OPEN heart. And this morning, I saw that Ali has chosen that word for 2013. I loved what she had to say about it, too, and I love her open heart necklace. But, as I’ve been considering different words for the last few weeks, the same word just keeps coming to mind. And I think even though I love the idea of continuing to focus on keeping an open heart, this other word just might be exactly what I need in 2013. So, the word I’ve finally chosen for my 2013 One Little Word is FURTHER. I don’t particularly like the way the word looks (or designing with it), but I DO like what FURTHER stands for and what it means — and could mean — for me in this season. I love that—because there are certainly some things in 2011 that didn’t go as I planned or hoped they might. But that’s the way life works sometimes, isn’t it? We live as bravely as we can, taking risks, seeking God, and then we wait to see how it all will unfold, according to His perfect plan. Like it says in Proverbs 16:9: In their hearts, humans plan their course, but the Lord establishes their steps. I’m looking forward to all 2012 holds. There are so many hopes I’m holding close to my heart, hopes that I’ve given to the Lord, so He can establish my steps, according to His will. I think it’s a great word that sums up how I want to live and experience life in 2011. I want to be present in every moment, discover new things, and seek out new experiences and adventures. I want to learn and grow from each new experience and continue to be shaped into the woman He wants me to become. Did you choose a word for 2013? If so, I’d love to hear all about it. Connect with me in the comments below, or on Facebook or Twitter.